Those that came before us, touched our hearts and inspired us to discover our own embodiment. Satyananda Yoga draws inspiration from Adi Shankaracharya, the codifier of the Dashnami Sannyasa Tradition, and from the four spiritual masters who make up the current Satyananda Yoga lineage. Sri Swami Sivananda Saraswati was a spiritual visionary of the 20th Century and an inspiration for the Satyananda tradition. He inspired countless disciples who spread yoga throughout the world, including Paramahamsa Satyananda. The home of our hearts is found at Rikhiapeeth located in rural India. The Yoga Academy of North America perfectly captured the brilliant images of Serve, Love, Give with inspiring colorful photos in their gallery. Swami Satyasangananda Saraswati is a yogic master and scholar who embodies compassion with clear reason. On January 1st 2007, she was appointed as the Peethadhishwari of Rikhiapeeth by Sri Swami Satyananda Saraswati. Presently she resides at Rikhia, working tirelessly for the material and spiritual upliftment of the local community. 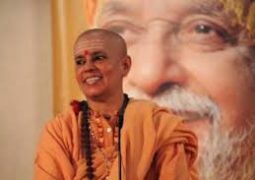 Swami Satyasangananda has dedicated herself to fulfilling her guru’s vision of uplifting the neglected, impoverished and downtrodden villagers in the surrounding areas of the ashram. 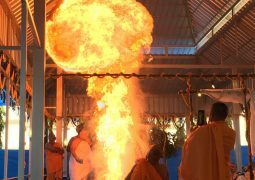 Swami Niranjanananda Saraswati is a modern master of yoga, whose understanding spans both the scientific Western culture and the mystical wisdom of the East. He is a magnetic source of wisdom on all aspects of yogic philosophy, practice and lifestyle. 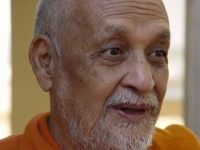 In 1990, he was initiated in the tradition of Paramahansa and in 1993 he was designated as the successor of Paramahansa Satyananda. 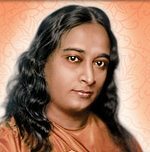 Paramahansa Yogananda the hundred years since the birth of Paramahansa Yogananda, this beloved world teacher has come to be recognized as one of the greatest emissaries to the West of India’s ancient wisdom. His life and teachings continue to be a source of light and inspiration to people of all races, cultures and creeds. 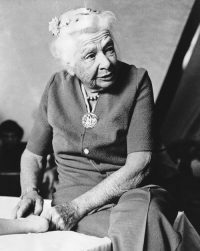 Dr. Ida P. Rolf has devoted her life to the investigation of how a whole person can function in the most optimal and economical way which led to the system of soft tissue manipulation and movement education that we now call Rolfing®. In order to pass along her work to others and to make the education process accessible, she developed an expedient series of ten sessions, which came to be known as the Ten Series. 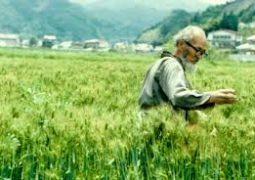 Masanobu Fukuoka trained as a scientist in Japan and rejected both modern and ancient agriculture systems. Instead, he chose to use use common sense and sustainable practices to create his “The One-Straw Revolution”, a spiritual memoir depicting a innovative system of cultivating wholeness and balance of the natural world. It provides a radical challenge to the global systems of food production and provides the foundation to daily acts of revolution accessible to all people. 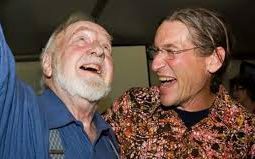 Bill Mollison and David Holmgren gave us Permaculture as a philosophy of working with, rather than against nature; of protracted and thoughtful observation rather than protracted and thoughtless labour; and of looking at plants and animals in all their functions, rather than treating any area as a single product system. “The greatest change we need to make is from consumption to production, even if on a small scale, in our own gardens. If only 10% of us do this, there is enough for everyone. Hence the futility of revolutionaries who have no gardens, who depend on the very system they attack, and who produce words and bullets, not food and shelter.